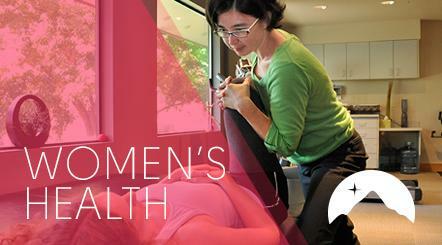 From pregnancy related aches and pains to age-related pelvic dysfunction, we’re here to help. Do you urinate more than 7-8 times a day? Perhaps you “leak” when you sneeze, cough, laugh, or exercise. Or maybe you find yourself always “rushing” to the bathroom when you need to urinate. Urinary leakage is common but never normal and is certainly no laughing matter. Nearly 60% of women between the ages of 40 and 60 experience urinary incontinence. On average, women put up with urinary leakage for 4 or more years before seeking help. One of the most effective treatment options for women’s incontinence is physical therapy. Chronic Pelvic Pain (CPP) is a pain in the pelvis, back, buttocks and/or abdomen that lasts 6 months or longer. It is a complex problem and may have several causes. According to a study published in the January 2011 edition of the Journal of the American Medical Association, 65 percent of men may still experience some bladder leakage up to one year following prostate cancer surgery. You’re not alone! Targeted therapies such as pelvic floor muscle training and bladder control strategies can reduce incontinence episodes in men by more than 50 percent following prostate-cancer surgery. Vaginal and vulvar pain encompass several painful syndromes including Vulvodynia, Vulvar Vestibulitis, and Vaginismus. Hilary Garrett, MSPT and Diana Spring, DPT specialize in the treatment of vulvar and vaginal pain and will be sensitive to your special needs.